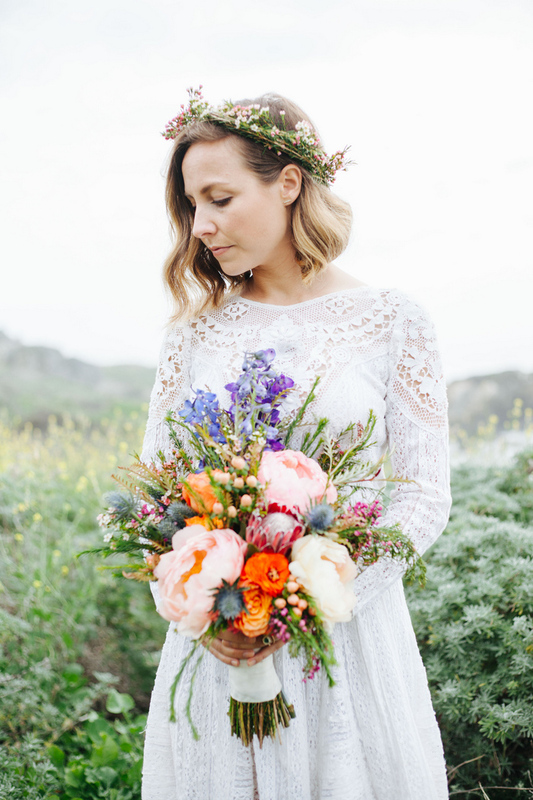 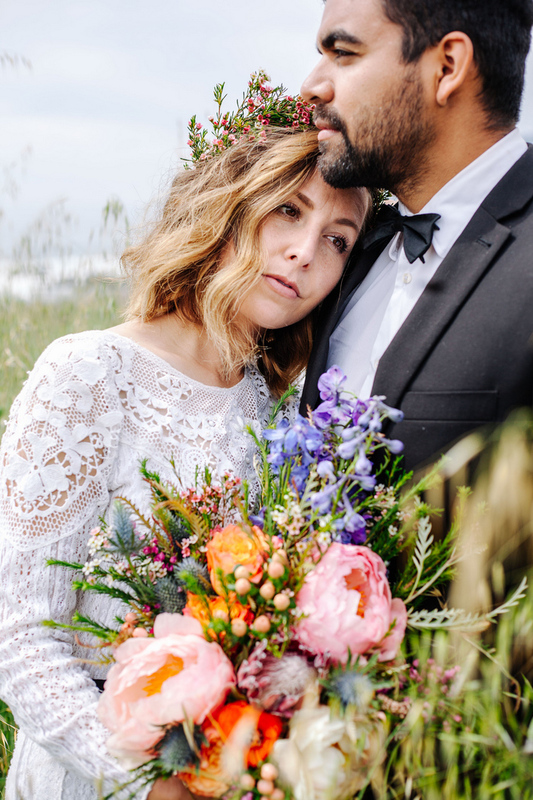 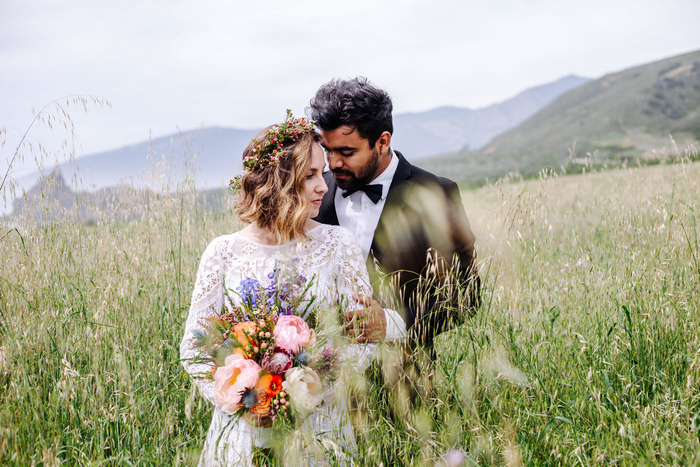 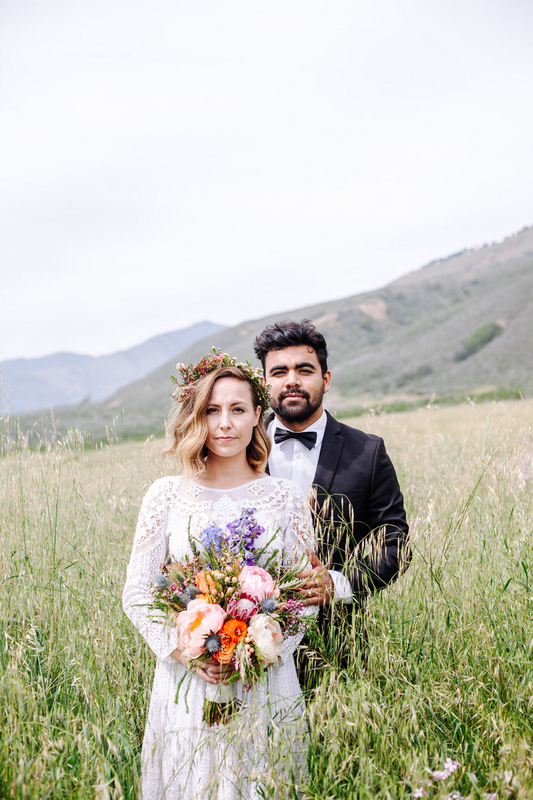 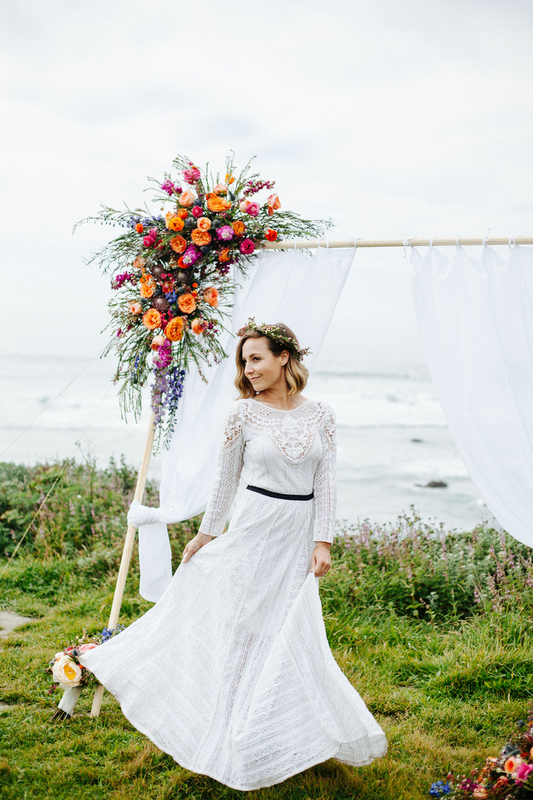 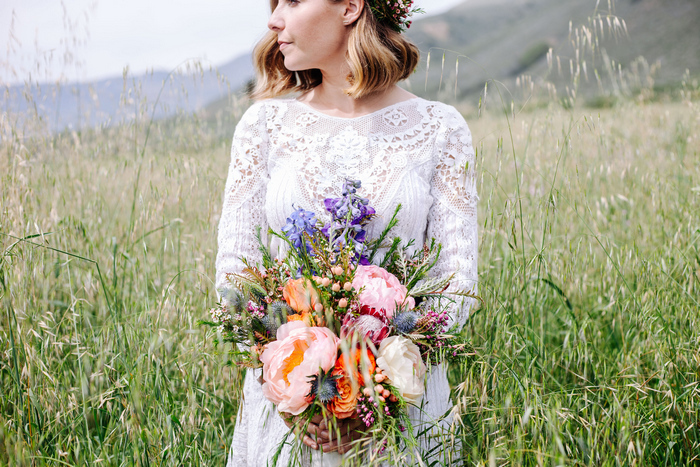 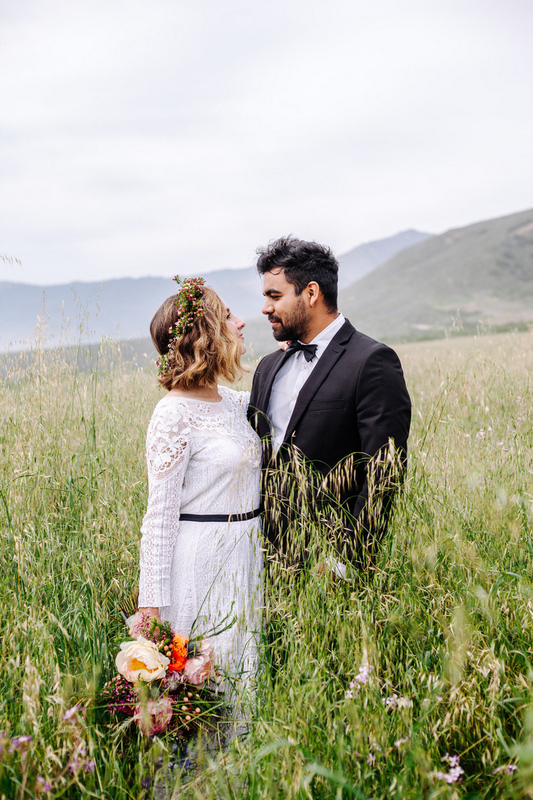 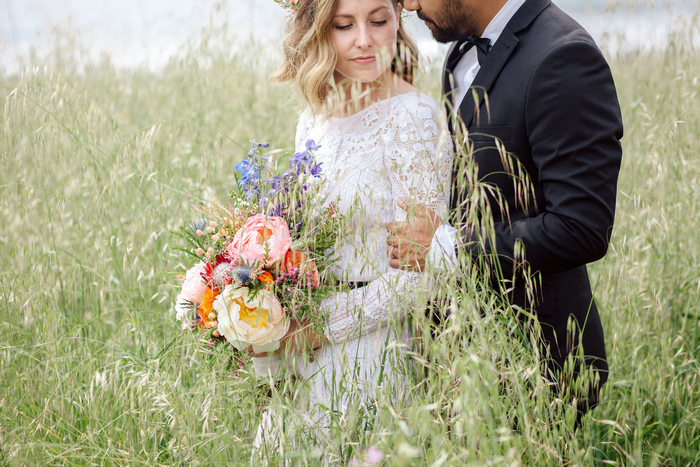 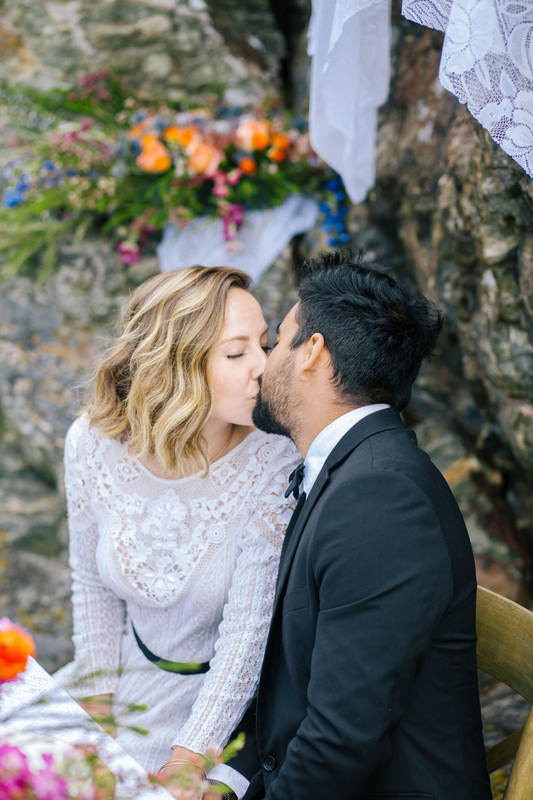 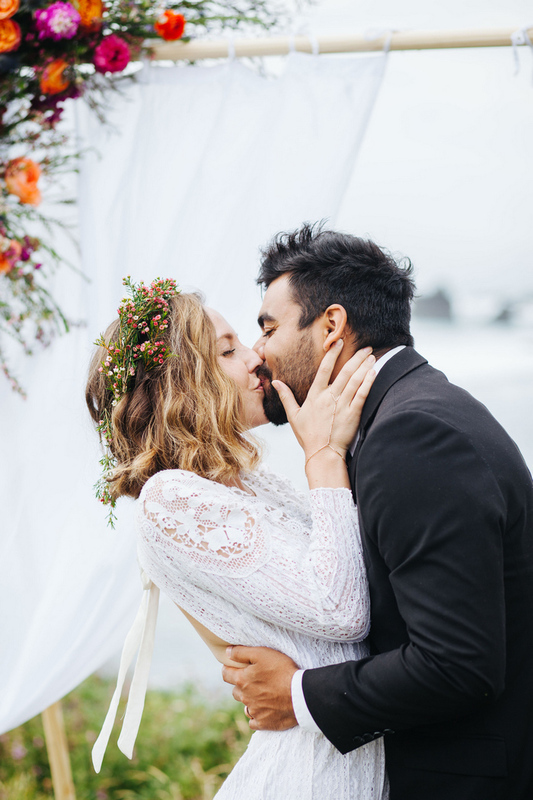 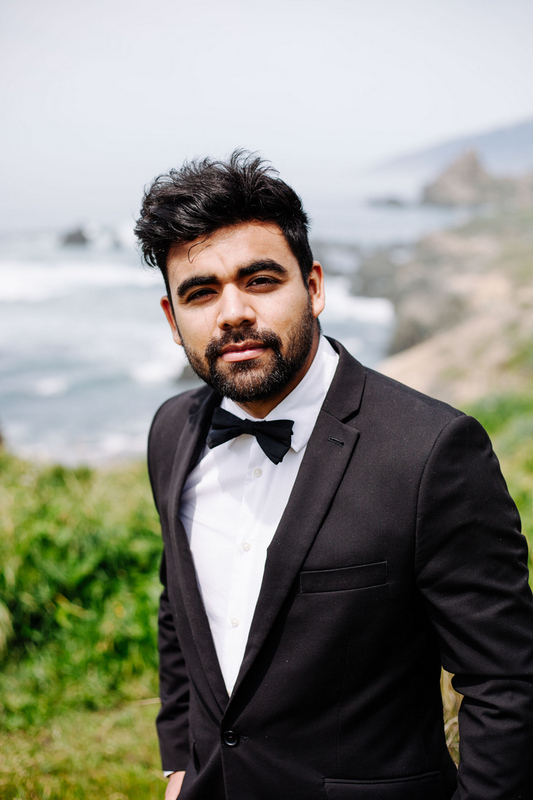 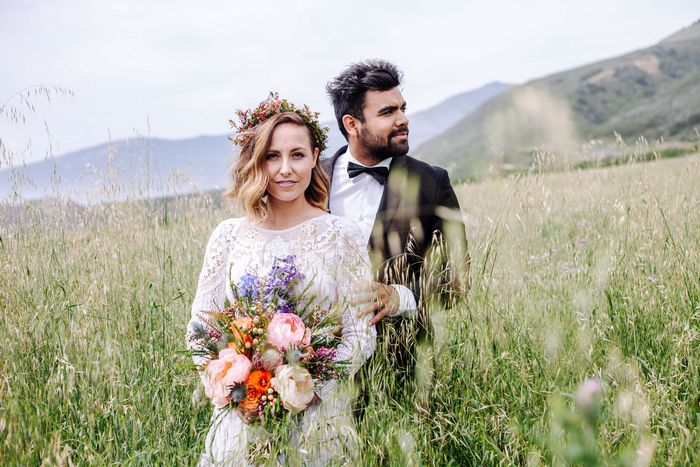 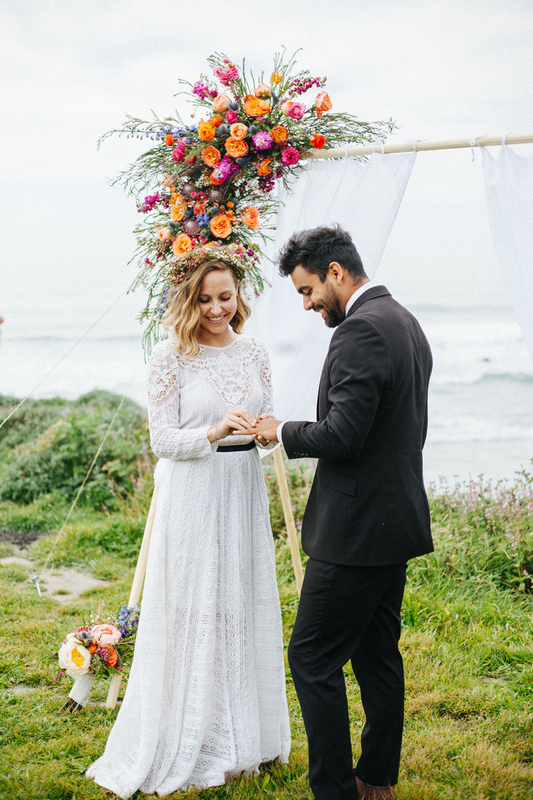 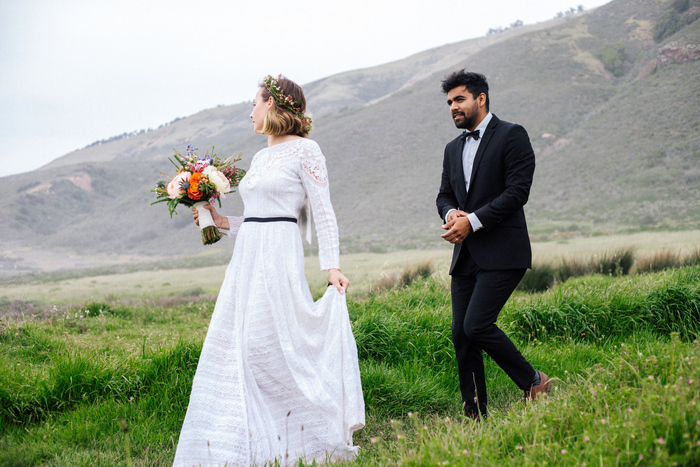 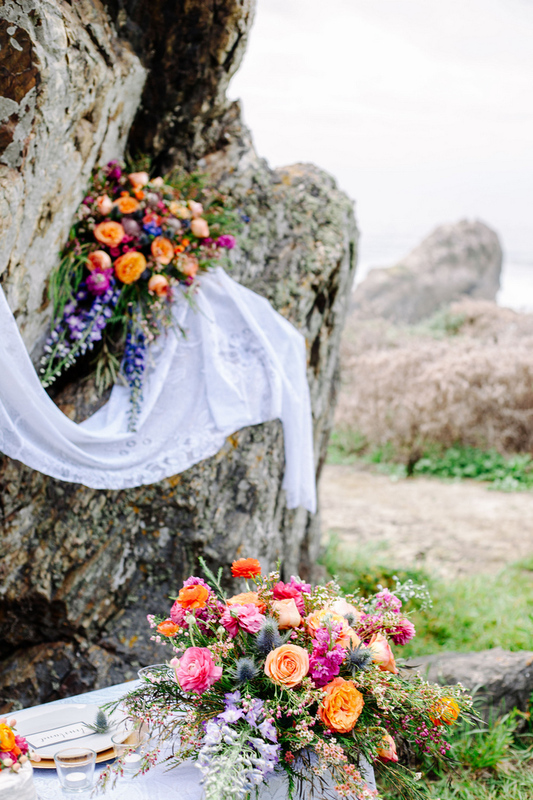 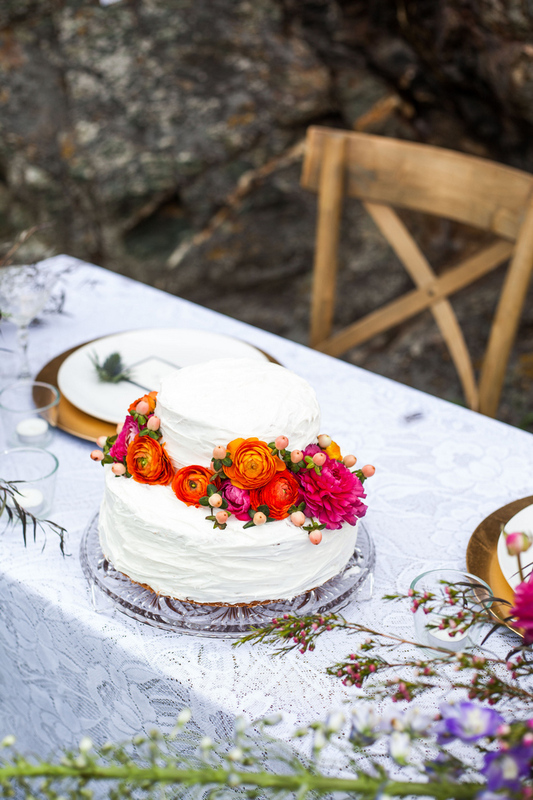 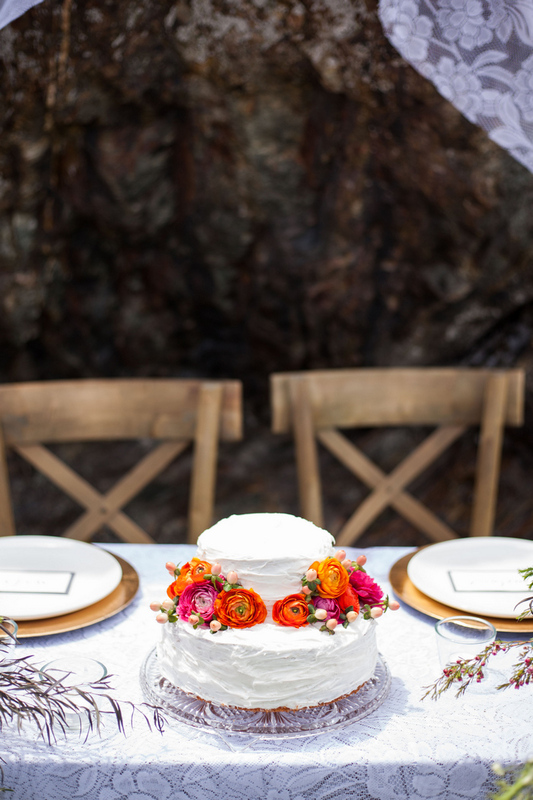 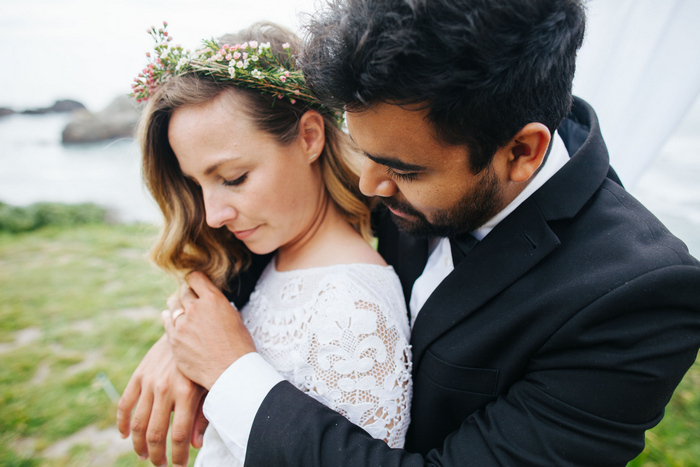 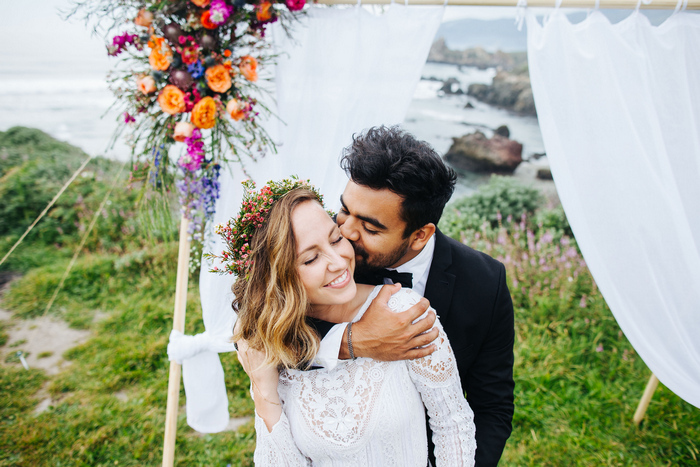 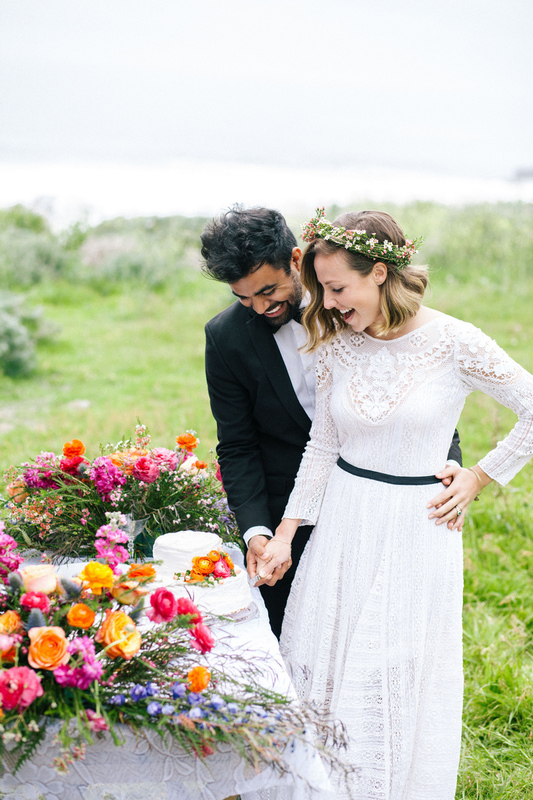 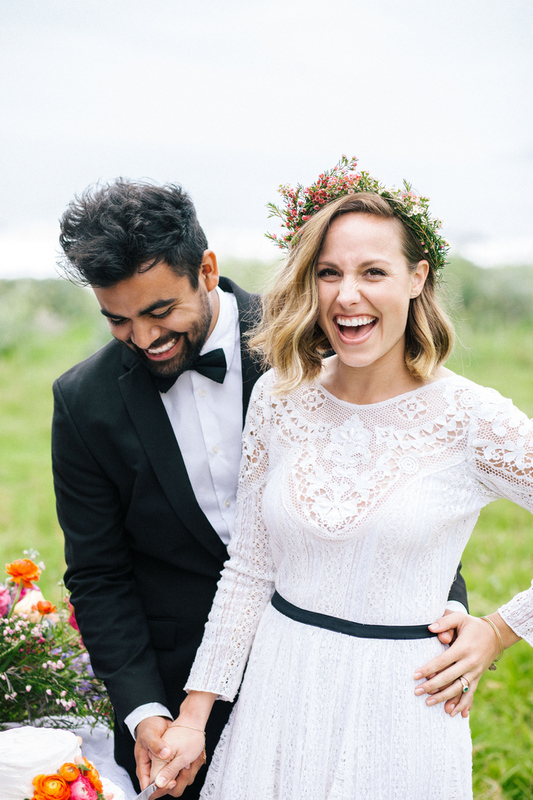 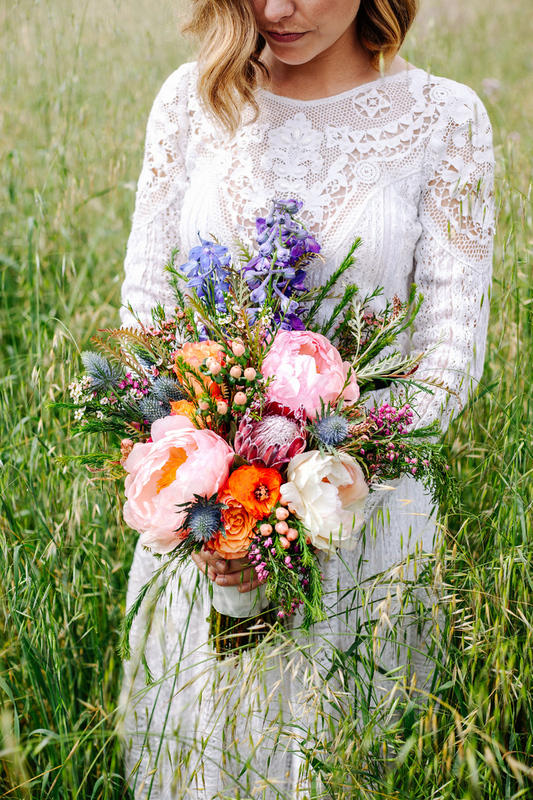 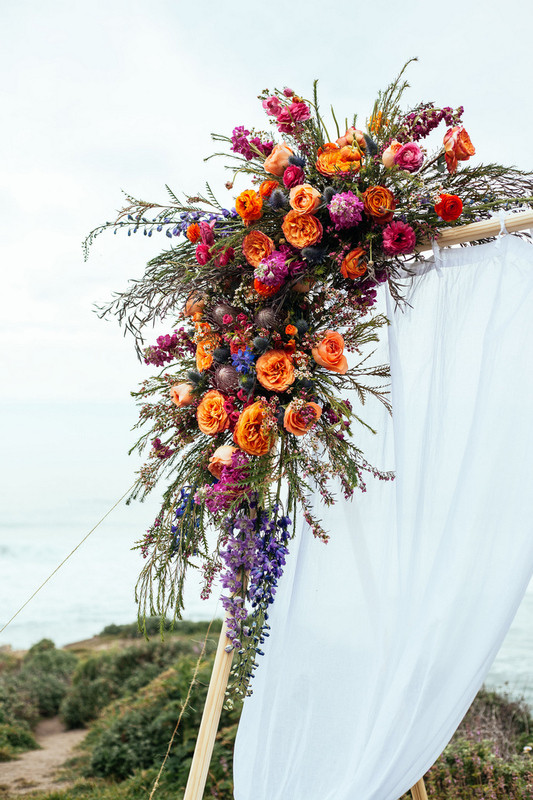 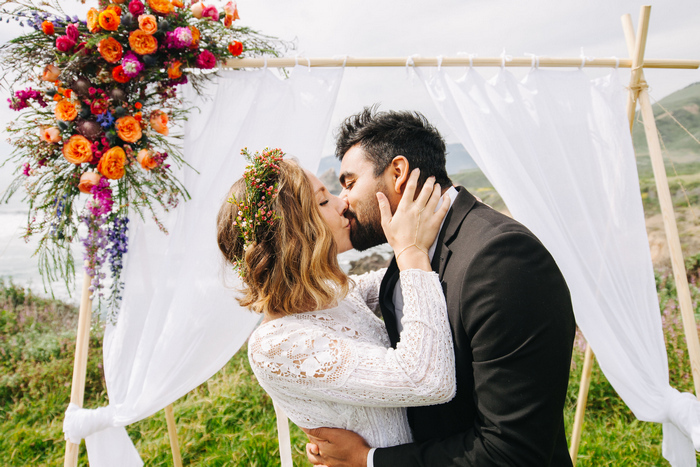 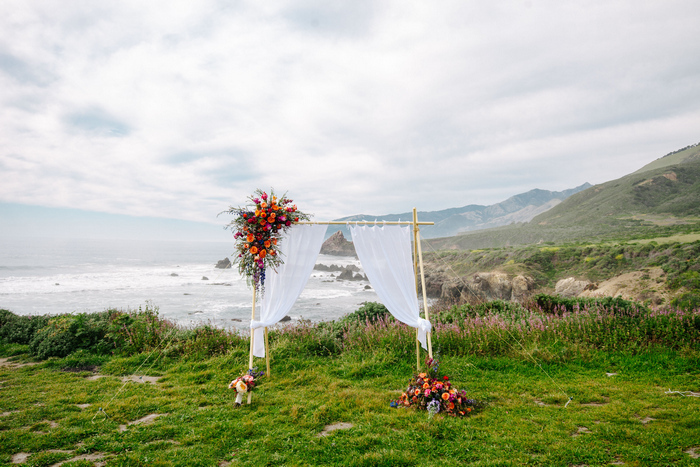 Kadin at Photography by Ben and Kadin sent us this spectacular elopement styled shoot set on the colorful, vibrant cliffs of Big Sur, California. 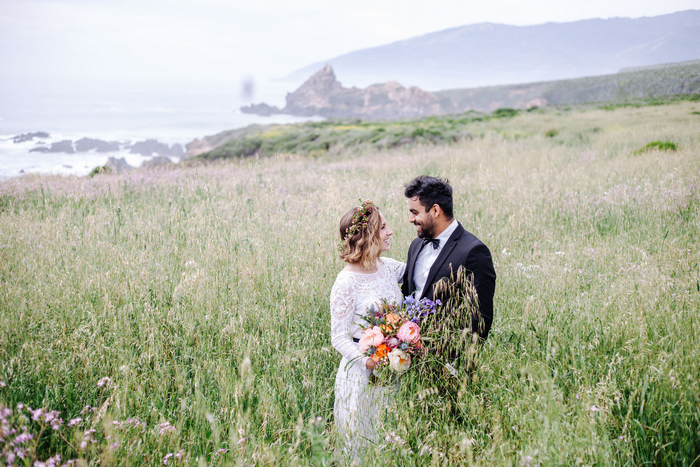 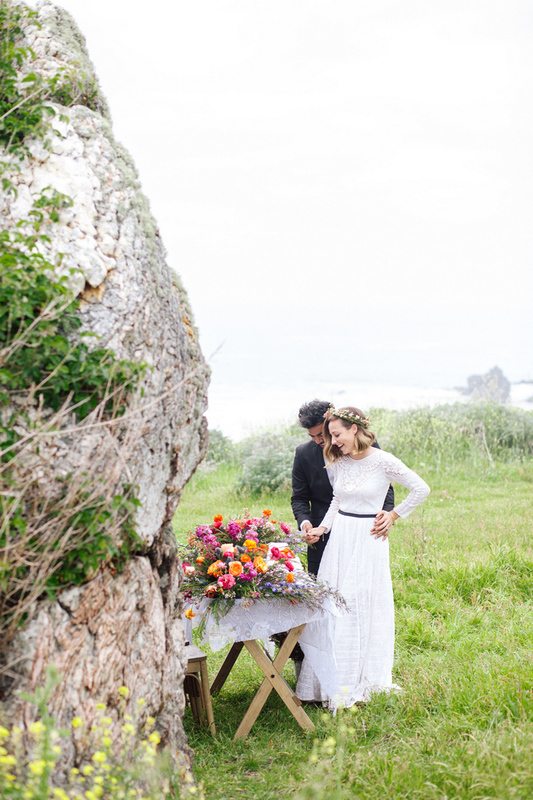 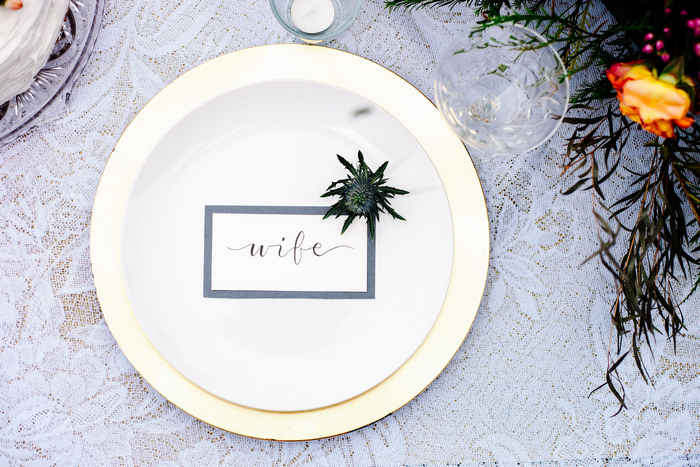 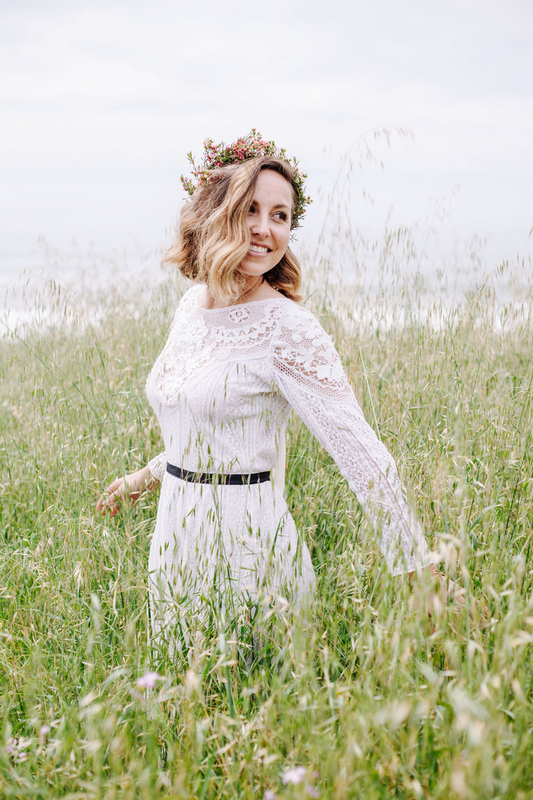 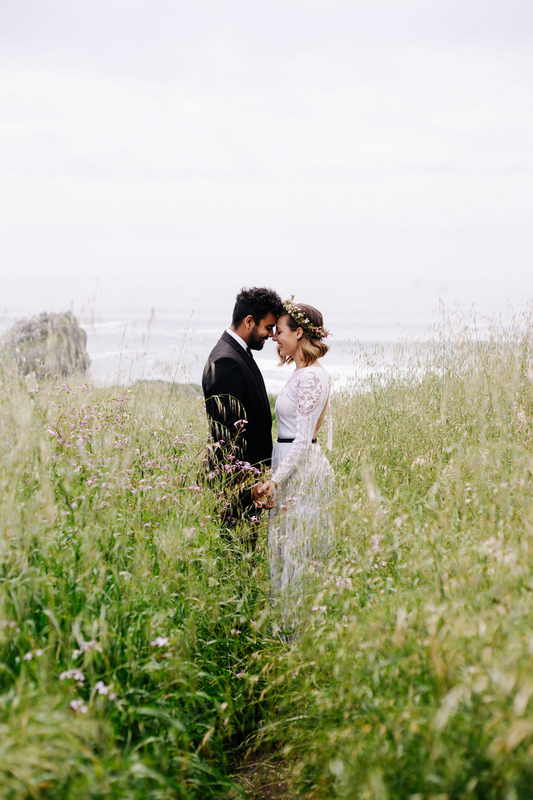 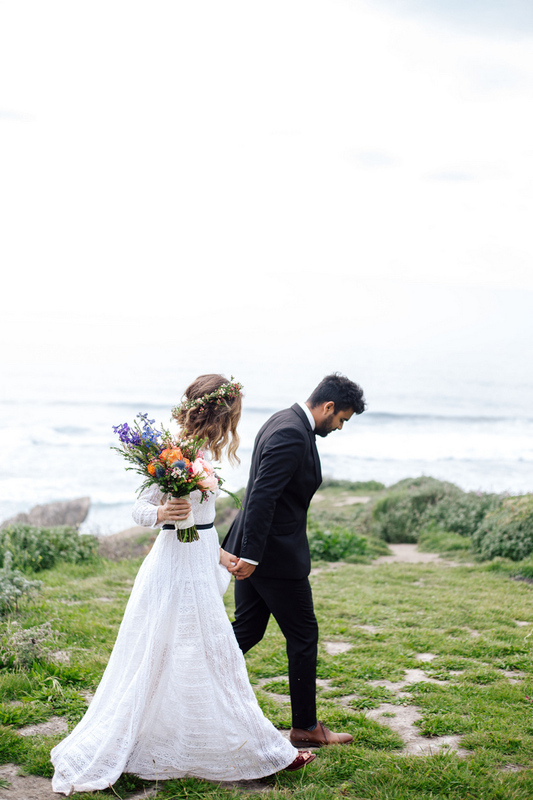 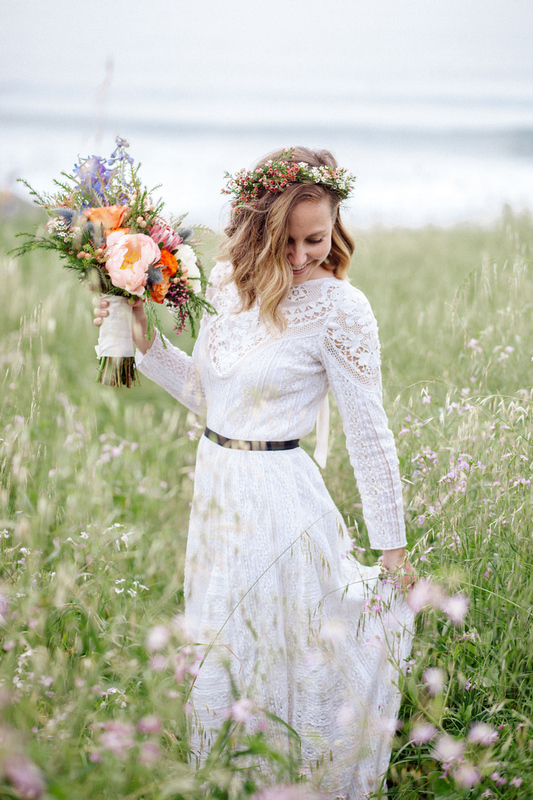 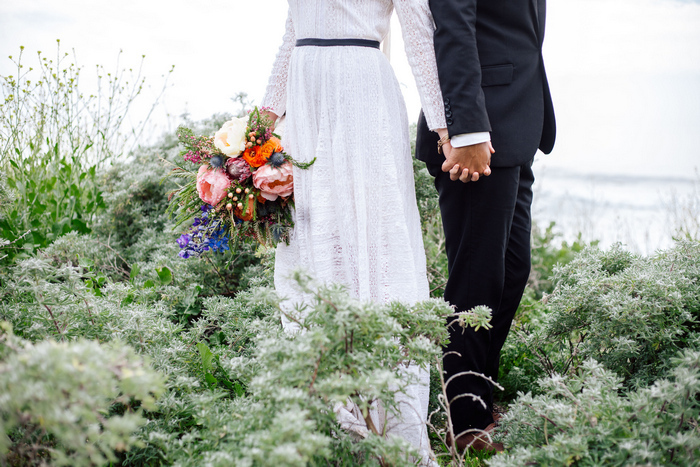 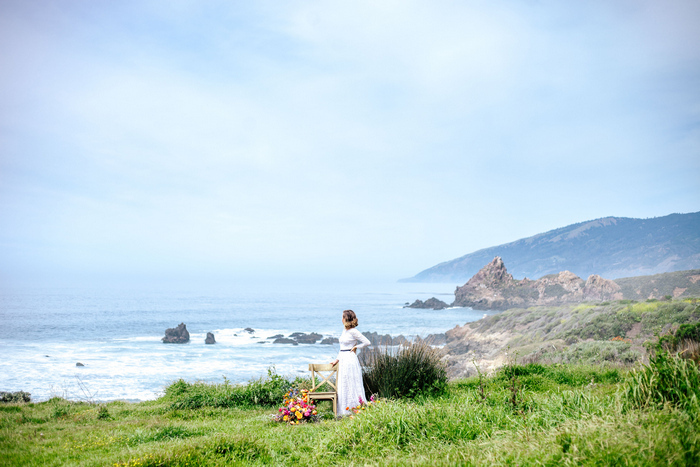 The shoot was inspired by the photography duo’s love of the stunning Big Sur – a perfect setting for a romantic elopement. 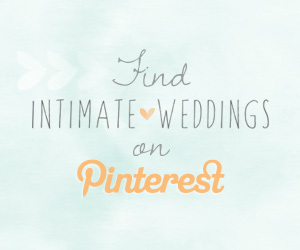 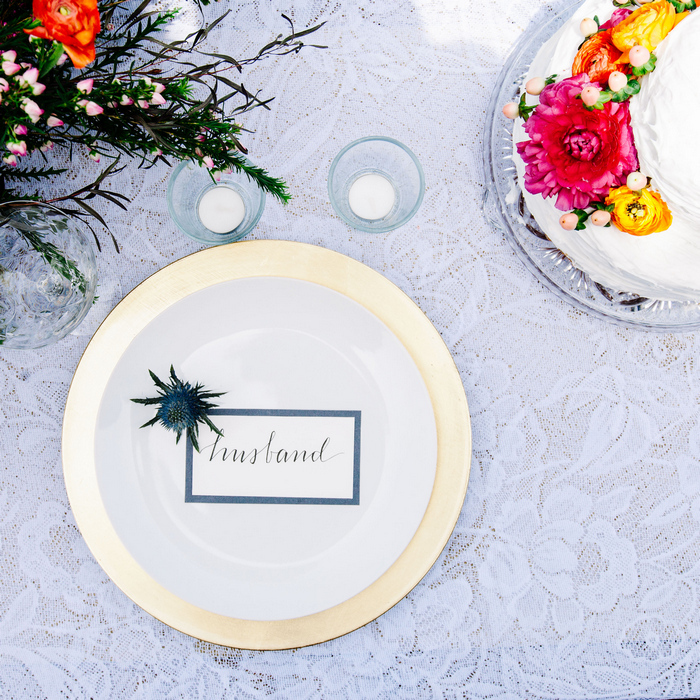 The duo did a marvelous job capturing this dazzling destination wedding wonderland! 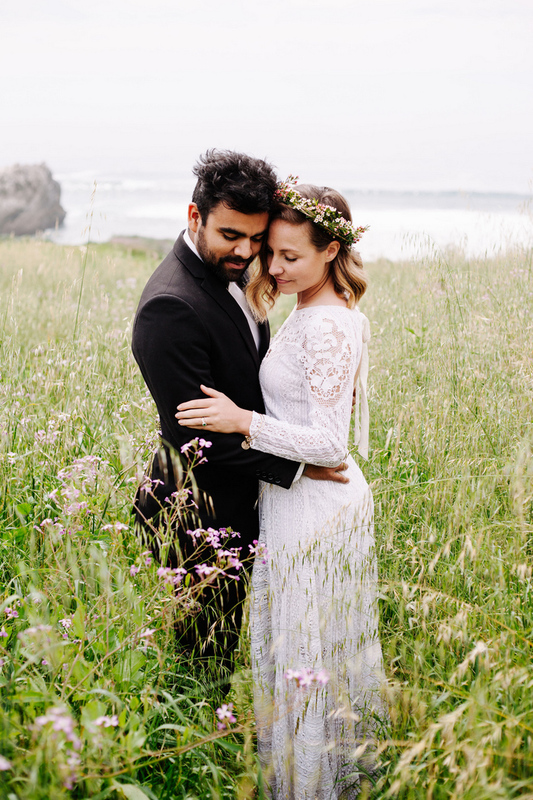 Here is what Kadin had to say about this dreamy shoot! 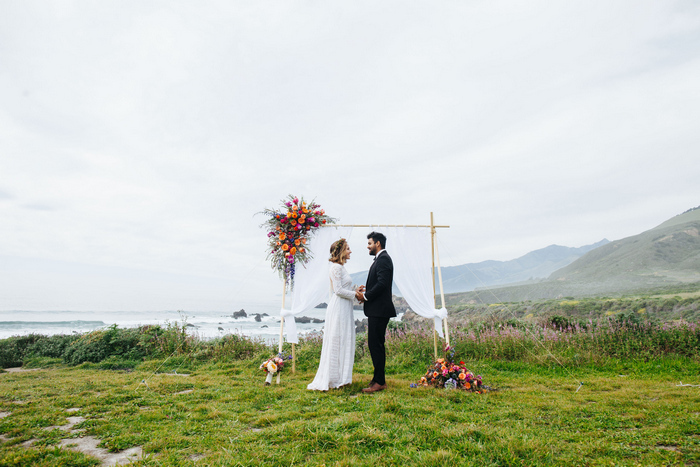 Our colorful elopement was inspired by our love for Big Sur, California and the beauty of the love shared between a husband and wife. 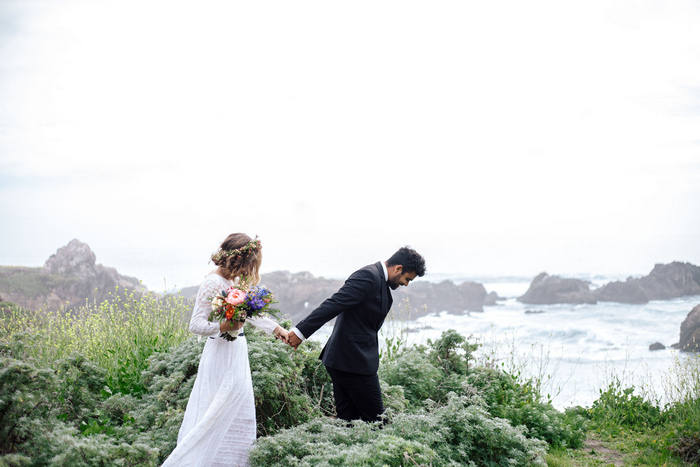 Since the first time we visited Big Sur, we dreamed of how stunning an elopement would be here, so we decided to make it happen. 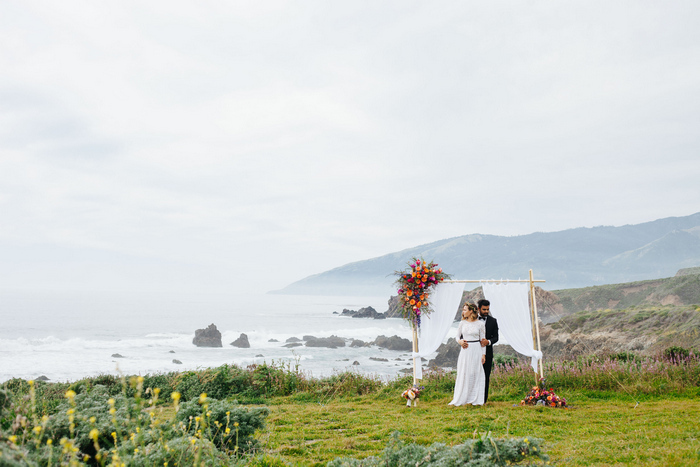 We knew choosing Big Sur as a location would provide the perfect scenery. 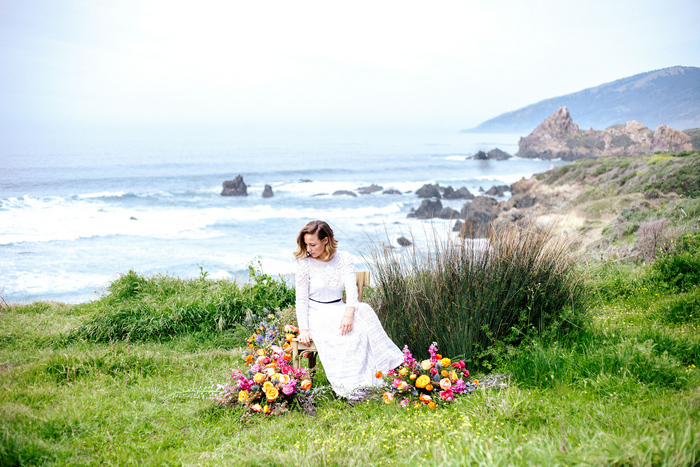 With the lush greens and vibrant views of this destination wonderland it naturally inspired the colorful arrangements and whimsical feel of this shoot. 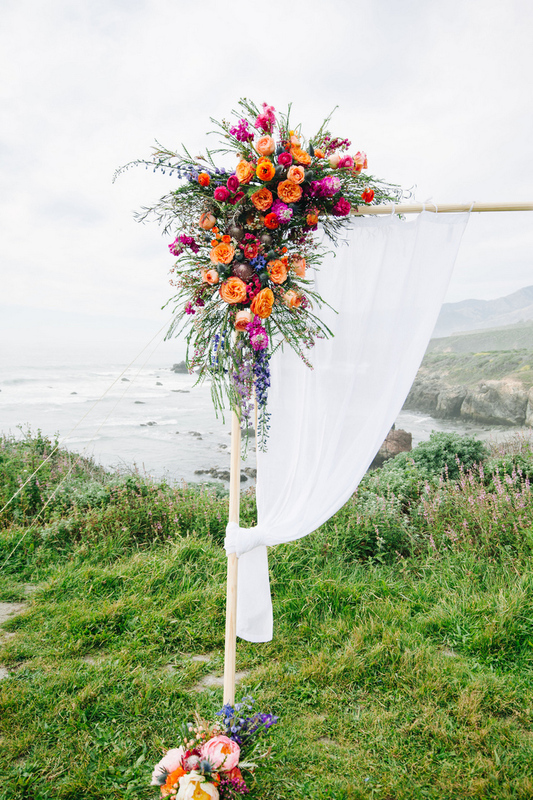 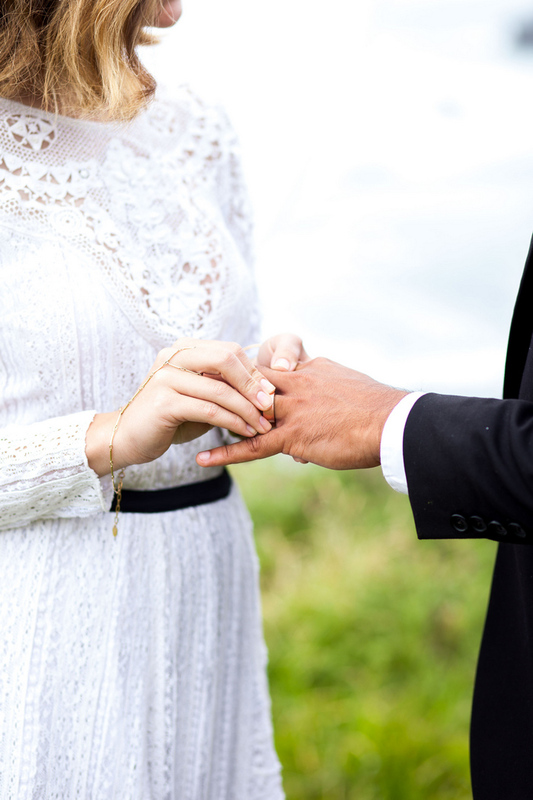 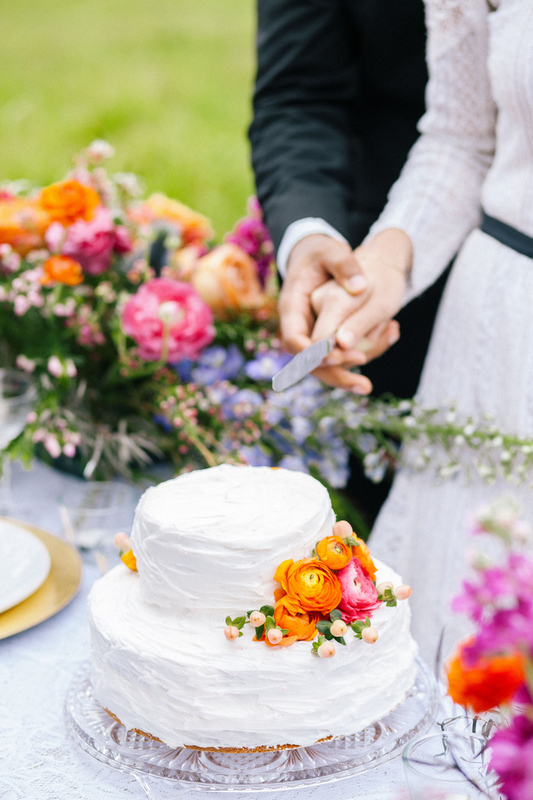 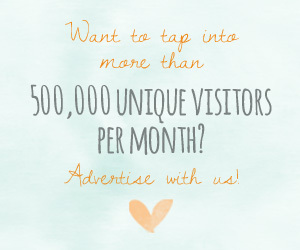 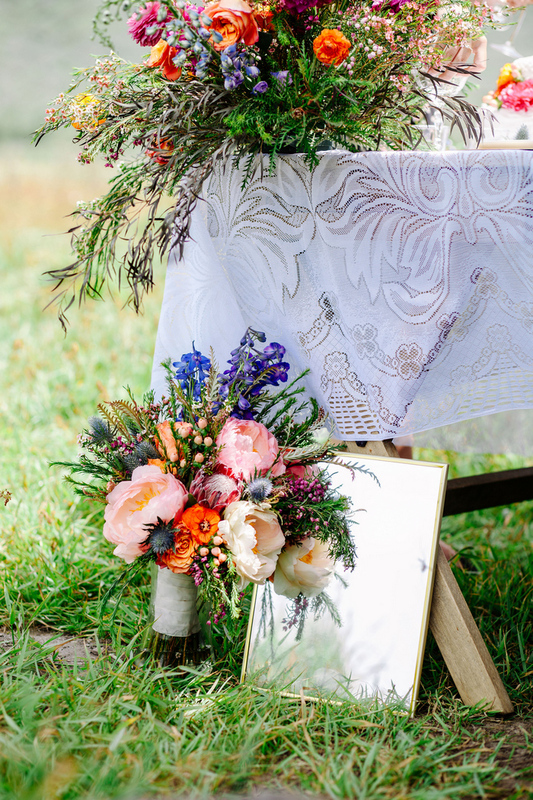 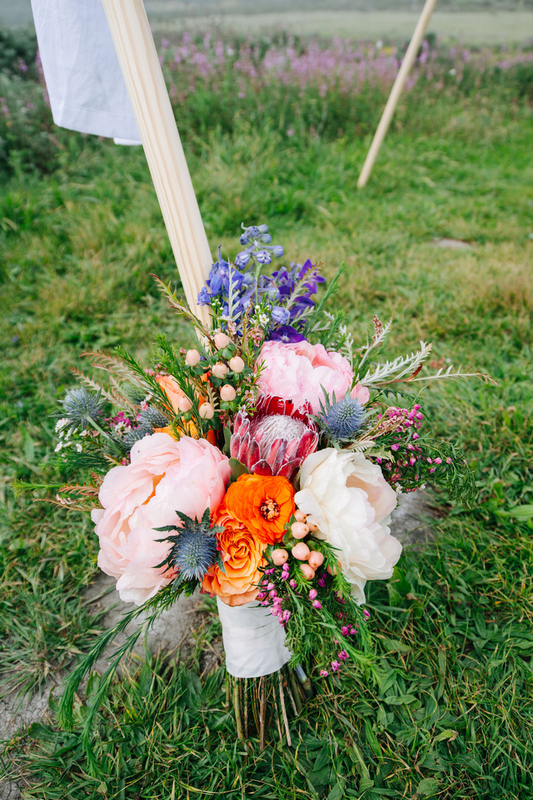 The ceremony would be simple, to resemble the intimacy of the elopement, and for the reception we would surround them with brightly colored flowers to resemble joy and happiness. 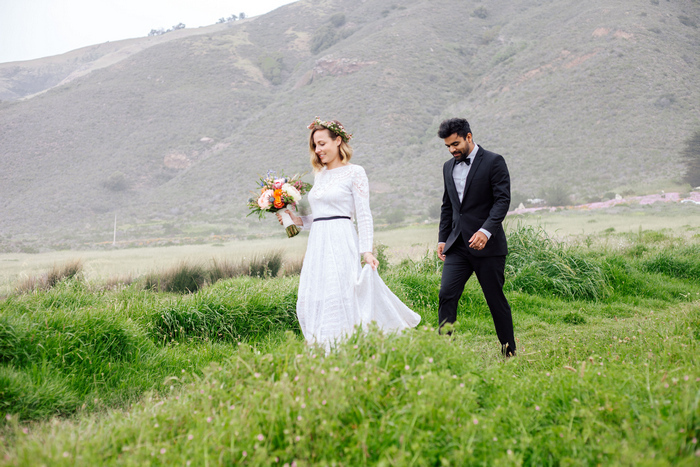 All that was left was a happy couple, and that’s where Sarah and Jorge came in. 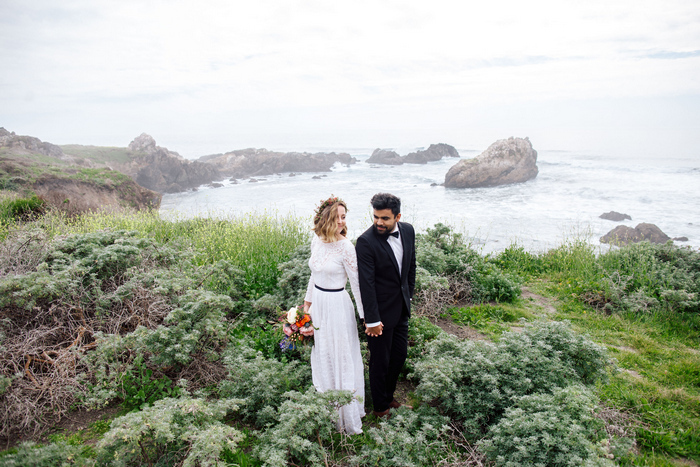 The newly weds were more then happy to put on their wedding clothes once again and explore the coast with us. 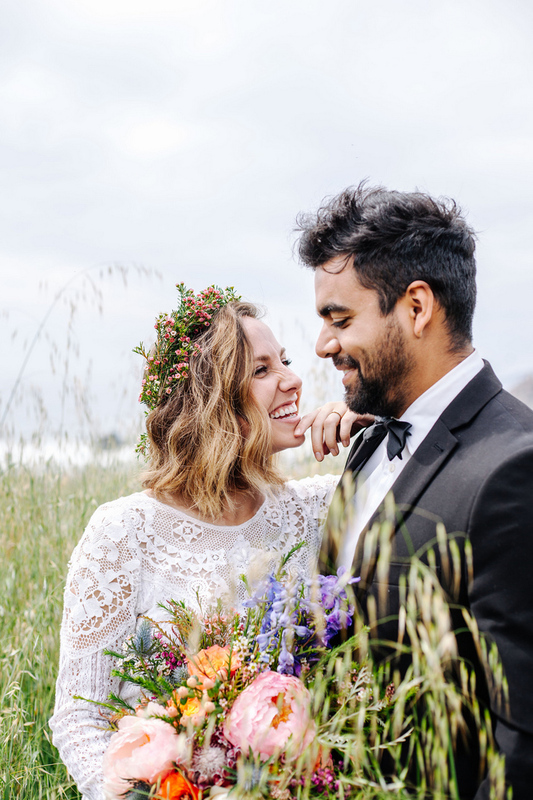 Sarah and Jorge filled our day with laughter, smiles, and adventure, and we had the pleasure of capturing it all.